Add the finishing touches to your favorite outdoor escape with a stylish and practical POLYWOOD® rocking chair side table. Choose between several heights, surface styles, and color options. Rocking peacefully in your rocking chair is a little less comfortable when your iced tea is dripping all over your lap. Add a practical rocking chair side table to your porch, deck, or patio to fully relax in your space whether you’re enjoying breakfast, sipping a cool glass of lemonade, or flipping through your favorite magazines. The rocking chairs available from POLYWOOD boast an innate charm while withstanding harsh elements and creating a cozy and comfortable space where you can watch the clouds roll by. The unrivaled craftsmanship and superior quality of our signature outdoor rocking chairs is matched in every way with our rocking chair side tables that effortlessly sport the same style and craft while adding functionality to your seating space. Our rocking chair side tables are constructed with slatted lumber panels, finely curved edges, and a blend of beauty and usability. 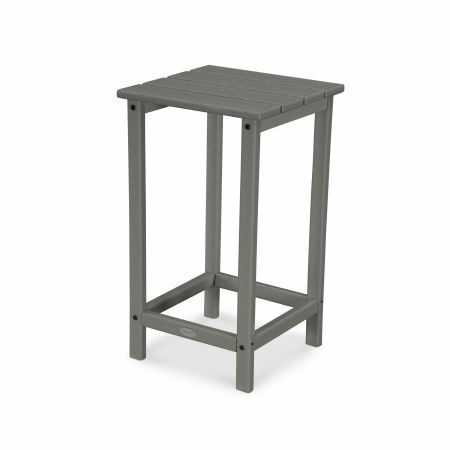 Choose from a variety of attractive, fade-resistant colors and find the right design and height side table for your rockers. POLYWOOD rocking chair side tables are available in a variety of collections to complement the look of your rocking chairs. 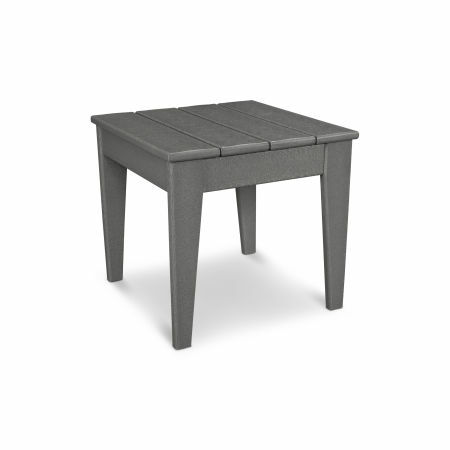 Choose between side tables in our popular Modern, Long Island, and South Beach Adirondack collections, ranging in height from 18” to 26” and featuring square or round surfaces. The all-weather HDPE lumber used in our rocking chair side tables is built to withstand all four seasons and a range of climates including hot sun, snowy winters, salt spray, and heavy winds. Side tables come in a variety of unique neutral tones and distinct vibrant color choices so your side table can serve as a focal point or blend into the scenery. 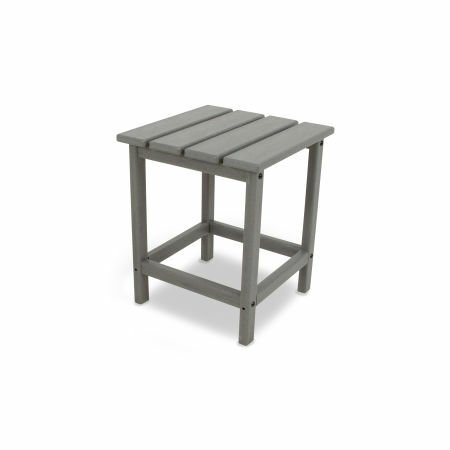 The durability of HDPE lumber means that minimal maintenance is required for your rocking chair side tables. Wipe away grime, dirt, or dust with a damp cloth and gentle soap solution. Simply do a deep cleaning every year or so to keep your side table looking like new. The brisk autumn air fills your lungs as you watch the pinks and purples of the dawn give way to vivid oranges and yellow of the sunrise. After you sip some Earl Grey tea set your mug down on your side table as you continue to rock back and forth on your porch. That lakeside view outside your weekend home never fails to impress. Set your camera down on your side table after snapping a few photos of the birds on the horizon and marvel at the natural wonders of the countryside from the comfort of your rocker. Who can resist a family cookout as the weather heats up? You may have plentiful seating along your spacious deck, but don’t forget to invest in a few side tables as the appetizers, entreés, and desserts pile up! Of course, choosing a rocking chair side table may be easier than actually settling on the ideal rocking chair for your space. Head over to our blog and read our Complete Guide to Buy a Rocking Chair. We’ve made it easy to transform your porch or patio into an idyllic retreat.